October 11 is International Day of the Girl — a day that has two meanings. Established by the United Nations in 2011, the day is designed to highlight the accomplishments of girls across the world and promote their empowerment, but also to shine light on the myriad issues and challenges unique to girls. The day uplifts the advancements girls have made in STEM fields, the movements forged by young women, and the young voices speaking up for change, while still acknowledging that we have a long way to go before girls and femmes are afforded the same opportunities, safety, and value that boys are. Learn more at Teen Vogue. The New York City Fund For Girls and Young Women of Color (The Fund)* is pleased to release its Fall 2018 Grant Guidelines. The Fund invites applications from organizations that: are led by and for young cis- and trans women of color; advance the collective leadership of young women, transgender and gender-nonconforming (TGNC) youth of color toward broad based change; use strategies of advocacy, community organizing, and long-term active participation in community and civic life; and specifically address systemic causes of racial, gender, and economic disparities faced by young women, transgender, and gender non-conforming (TGNC) youth of color. The process begins with reviewing the attached grant guidelines and submitting a Letter of Inquiry. If your organization is selected to advance to the full application stage, you will receive further instructions for next steps in the process. Only organizations invited to submit full proposals will be considered for a grant award. The deadline for submitting Letters of Inquiry is noon on June 12th, 2018. The New York City Fund for Girls and Young Women of Color envisions a city that offers every opportunity for all girls and young women of color, inclusive of two-spirited, transgender and gender non-binary youth, to succeed economically and socially. A collaborative effort of a diverse and growing group of funders**, it pools philanthropic resources to invest in non-profit organizations and efforts that promote the well-being and leadership of young women of color as change agents, and partners with communities and other allies to advance cultural and systemic change through the lenses of race, gender, and economic justice. ** 2018 Fund members include (list in formation): Andrus Family Fund; Brooklyn Community Foundation; Cricket Island Foundation; Ford Foundation; Foundation for a Just Society; Harnish Foundation; Jessie Smith Noyes Foundation; Ms. Foundation for Women; The New York Community Trust; New York Foundation; North Star Fund; NoVo Foundation; Pinkerton Foundation; Scherman Foundation; Schott Foundation; Surdna Foundation; Stonewall Community Foundation; The New York Women’s Foundation; Third Wave Fund; William T. Grant Foundation. To help ‘demystify’ the process for potential new applicants, The Fund is holding an Informational Webinar onMonday, May 21, 2018, 1PM -2PM to answer any questions you may have about the grantmaking process. 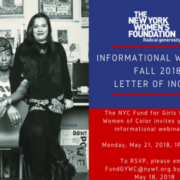 ToRSVP for the information session, please email FundGYWC@nywf.org by Friday, May 18th, 2018. The National Women’s Law Center’s latest report explores how trauma impacts the trajectories of Asian American and Pacific Islander, Black, Latinx and Native American girls. A new study from the National Women’s Law Center (NWLC) explores the barriers that stand between girls of color and their education. 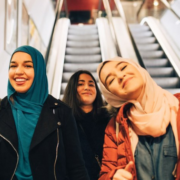 Released today (April 19), “Stopping School Pushout For: Girls of Color” is in one in a series of seven reports crafted using data from the organization’s national “Let Her Learn” survey of 1,003 girls ages 14 to 18 conducted in January. The survey asked participants about their lives in several areas, including their exposure to sexual violence, their proximity to immigration issues and their experiences with law enforcement. Researchers also examined existing data for trends. Here are the key points from the report, as outlined in a statement posted by NWLC. 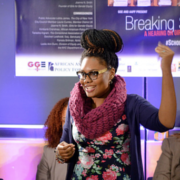 Nearly 1 in 5 Black girls (19 percent) and LGBTQ girls (18 percent) reported experiencing homelessness. More than half of Latina girls (55 percent) said they are worried that a friend or family member will be deported. Almost a quarter of Latina girls (24 percent) reported being harassed because of their name or family’s origin. Nearly half of Asian and Pacific Islander girls (46 percent) reported being called a racial slur—higher than any other group of girls. Black girls are 5.5 times more likely to be suspended from school than White girls. Black girls are 6.1 times more likely than White girls to be expelled from school and 2.5 times more likely to be expelled without educational services for the rest of the year. Black girls with disabilities are 3.5 times more likely to be suspended than White girls with disabilities. Almost half (47 percent) of high schools with 90 percent or more students of color have at least one law enforcement officer, compared to just under a third (31 percent) of high schools with 90 percent or more White students. “These reports and data should sound an urgent alarm for policymakers, educators and communities,” Neena Chaudhry, NWLC’s director of education, said in a statement. “The trauma that so many girls of color experience affects not only their mental and physical health but also their ability to concentrate, feel safe, and stay and do well in school. And yet our survey also showed that, despite the barriers they face, girls of color are resilient and want to succeed and go on to college. We need targeted policies to help these girls stay and thrive in school. Read the full article on ColorLines. 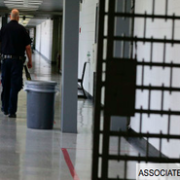 “After being in and out of court for offenses such as shoplifting clothing and fighting back at school, Destiny, a 15-year-old African American transgender girl, was sent to a high security juvenile detention facility for boys, since no other program would take her. Other youth at the facility regularly subjected her to sexual assault and intimidation. 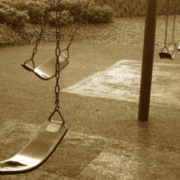 Meanwhile, the adults entrusted with her care did little to prevent this abuse, refusing to recognize her gender identity and even blaming her for the harassment. Once released, advocates worried that, if arrested again, Destiny would land in the adult criminal justice system, where she would be even less likely to receive services appropriate to her as a young transgender survivor of sexual violence and harassment.